Walter White, Jesse Pinkman, and the rest of your favorite Breaking Bad characters return in August for the series finale, but if it wasn’t for Netflix the show never would have reached this point, the series’ creator says. Breaking Bad, which revolves around a high school chemistry teacher turned meth dealer, owes a big debt of gratitude to Netflix, Breaking Bad Executive Producer Vince Gilligan recently told New York Magazine. Part of the credit may go to the Netflix feature that permits one to “binge watch” shows in just a few sittings. Petrarca’s comments are obviously more controversial than Gilligan’s, since Game of Thrones pirates aren’t paying for an HBO subscription to watch the show. Netflix subscribers, meanwhile, fork out $8 a month for the privilege to consume serialized hit shows like Breaking Bad, House of Cards, Mad Men, The Walking Dead, and Arrested Development. Nevertheless, it’s notable that online modes of consuming video, whether sanctioned or not, are becoming an important way to connect with potential audiences. 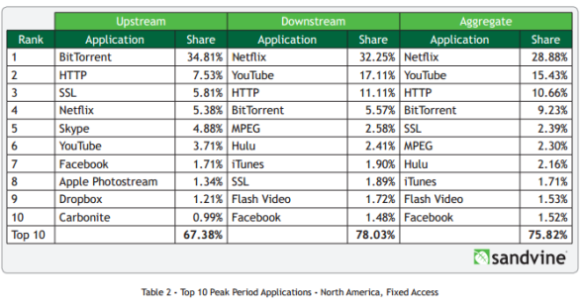 The most popular downstream applications during the first half of 2013. Netflix is at the forefront of this all-you-can-watch online buffet. Recent estimates suggest Netflix has more subscribers than HBO, showing how popular online content consumption has become. Netflix also accounts for almost one-third of all prime time Internet traffic through fixed networks (non-mobile) in North America, according to a recent report by networking equipment provider Sandvine. That’s more North American downstream traffic than YouTube, BitTorrent, Hulu, and iTunes combined, based on Sandvine’s numbers. Netflix is also becoming a big player in mobile, Sandvine says, doubling its mobile traffic over the past 12 months. Part of Netflix’s success can be attributed to the fact that it was the first subscription-based online streaming service. But Netflix is also working hard to cement its position with new series such as House of Cards, and the fourth season of Arrested Development that starts this Sunday. Both shows, as is the case with most of Netflix’s original series, are made available in binge format so that subscribers can watch entire seasons right from day one of the series’ debut. Moving into 2014, Netflix plans on releasing a new series from the Wachowskis called Sense8 and the second season of House of Cards. 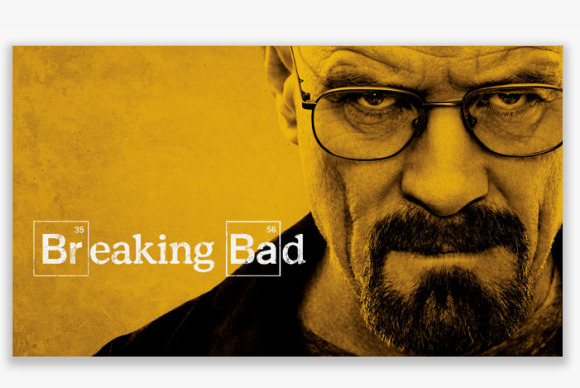 Along with some Netflix original shows, AMC’s Breaking Bad is among the top choices for binge watchers. Kevin Reilly, Fox Entertainment chairman, recently complained about losing audiences to Breaking Bad marathons, according to The Hollywood Reporter. Just last Saturday, The New York Times ran an opinion piece waxing poetic about Breaking Bad binge viewing. Breaking Bad may be one of the big shows right now, but the real winner here is the binge viewing format popularized by Netflix, and, to a lesser extent, Hulu. Broadcast television is still where most fans keep up with their favorite shows, but it sure looks like binge watching through online services is the future.